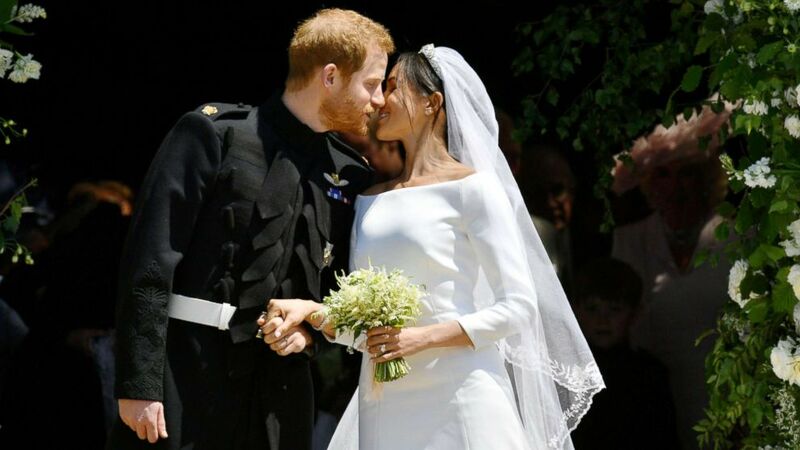 Markle, 36, and Harry, 33, were wed on May 19 at St. George's Chapel. camera (Owen Humphreys/Reuters) The Most Rev Bishop Michael Curry, primate of the Episcopal Church, gives an address during the wedding of Prince Harry and Meghan Markle in St George's Chapel at Windsor Castle in Windsor, May 19, 2018. 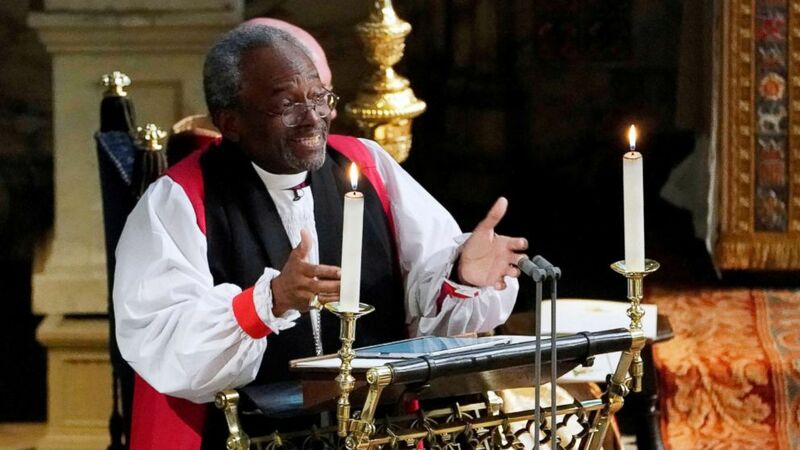 The New York-based Curry, who’s the first black leader of the Episcopal Church in the United States, made history again as the first American to preach at a British royal wedding. (Owen Humphreys/Reuters) The Most Rev Bishop Michael Curry, primate of the Episcopal Church, gives an address during the wedding of Prince Harry and Meghan Markle in St George's Chapel at Windsor Castle in Windsor, May 19, 2018. Curry said he was "very aware" of the gravitas of the moment. (Owen Humphreys/AP) Prince Harry and Meghan Markle during their wedding at St. George's Chapel in Windsor Castle in Windsor, May 19, 2018. "Actually for a moment, we were actually together, organized around love," he continued. "Their love was a sign of God’s love and what that love can do in our lives. It brought together our African heritage, our British heritage, our American heritage." (Jonathan Brady/PA) Prince Harry looks at his bride, Meghan Markle, as she arrives accompanied by Charles, the Prince of Wales, in St George's Chapel at Windsor Castle for their wedding, May 19, 2018. "That love was a reflection of a greater love and that greater love is the love of God," he said. "I think that’s what Jesus has been talking about. That’s what he was trying to teach us. Love God, love your neighbor and you’ll be able to figure out the rest." (Reuters) Prince Harry and Meghan Markle kiss on the steps of St George's Chapel in Windsor Castle after their wedding in Windsor, Britain, May 19, 2018. 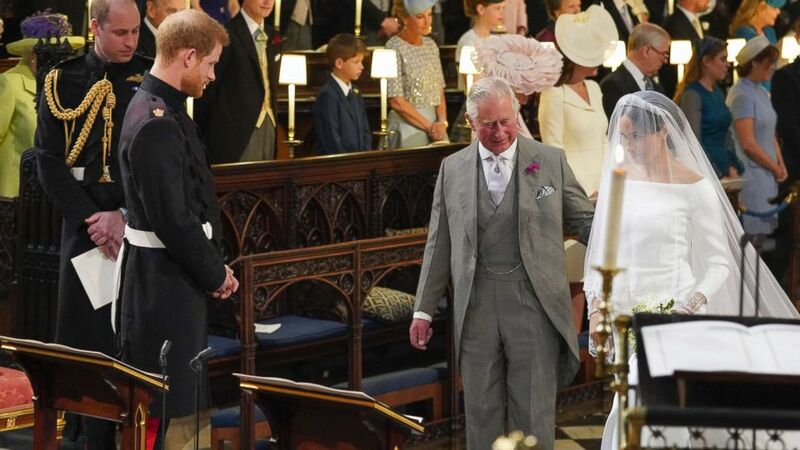 Church officials and Harry and Meghan were aware of the "basic outline" of his sermon ahead of time, according to Curry. He said he was able to speak to the couple "very briefly" after the wedding service, describing them as "kind and gracious." "[It was] more just an opportunity to say hello," Curry said. "[They] just said things like, 'Thank you,' [and] 'It meant a lot.'" Curry traveled from Chicago to give the address. An expert breaks down how to recreate Duchess Meghan's wedding looks. Curry was installed as the 27th presiding bishop and primate of the Episcopal Church in 2015, according to the church's official website. He was elected to a nine-year term. A descendant of African slaves, Curry, 65, was born in Chicago, according to his official bio. After attending school in Buffalo, New York, he graduated from Hobart College in 1975, and earned a Master of Divinity degree from Yale University in 1978. That same year, he was ordained as a deacon at St. Paul's Cathedral in Buffalo, and went on to work as deacon-in-charge at St. Stephen's in Winston-Salem, North Carolina. (ABC) The Most Rev. 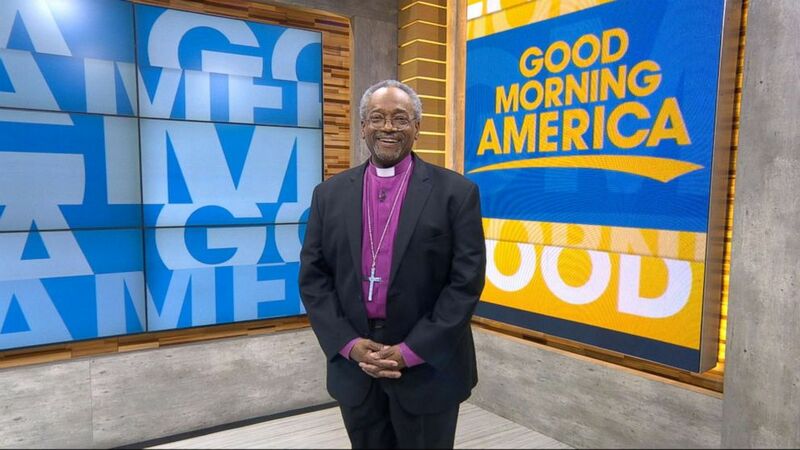 Michael Bruce Curry speaks out on "GMA" about delivering the sermon at Prince Harry and Meghan Markle's royal wedding. Later, he became the rector of St. James' in Baltimore, until he was elected as the 11th bishop of the Episcopal Diocese of North Carolina in 2000. Curry is passionate about social justice issues, marriage equality and immigration policy. He has authored three books: "Following the Way of Jesus: Church's Teachings in a Changing World," "Songs My Grandma Sang," and "Crazy Christians: A Call to Follow Jesus," and is a regular speaker in houses of worship and at conferences around the United States and internationally. Married to Sharon Clement, Curry is the father to two adult daughters, Rachel and Elizabeth. 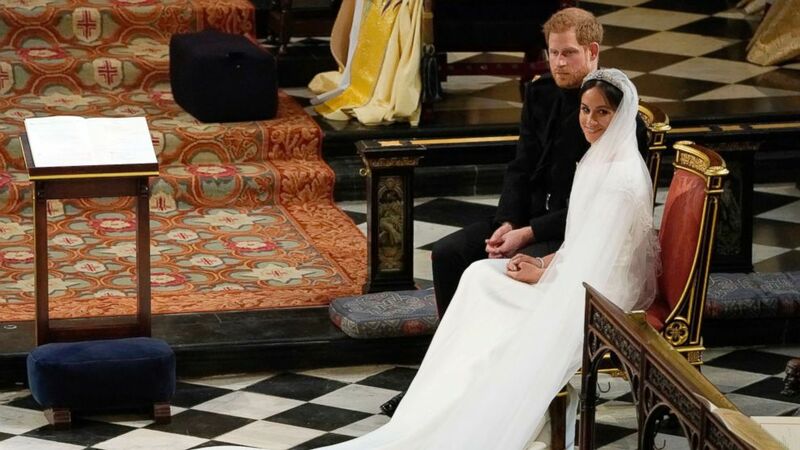 Read Bishop Curry's full royal wedding sermon HERE. ABC News' Lesley Messer, Morgan Winsor and JoiMarie Mckenzie contributed to this report.